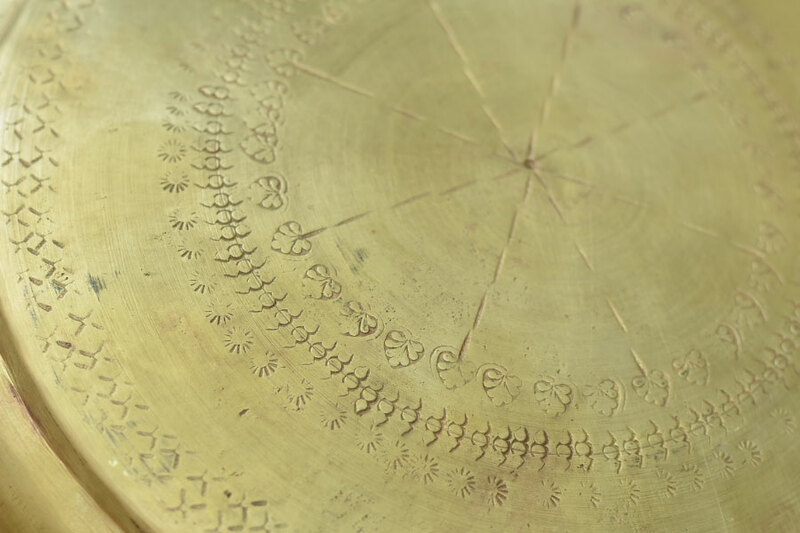 About Product : Etched into the shining metal, Mandalas and motifs, They are, but, Craftsmanship's fine example. 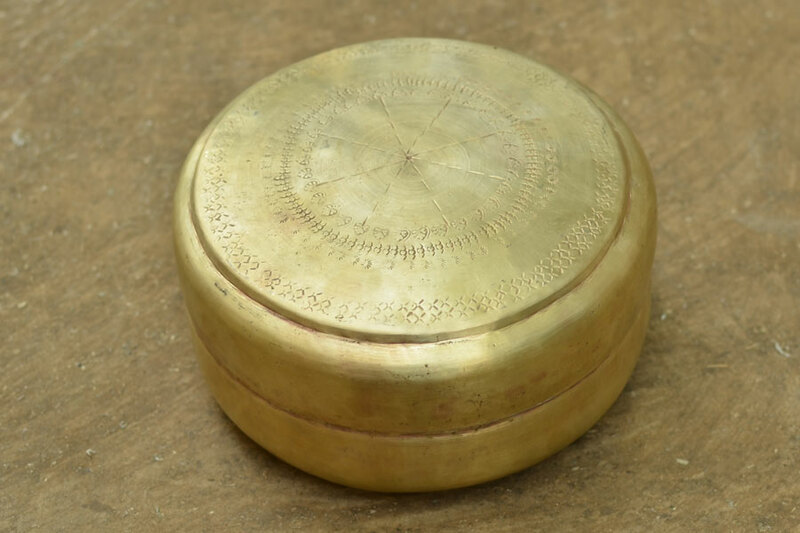 Golden brass, That reflects in light... Gift a set to someone, Or serve food in them, Add nutrition to food... With a bit of shiny style! A bullock cart (Gadi) wheels through a village trail, carrying all the basic household commodities that a ‘Gadia Lohar’ (nomadic blacksmith) may need for his living. Valuable articles are kept safe in closed wooden chests (called ‘Thalia’) while other belongings are stacked on it. Things like scrap metal or fuel (raw material) are tied to the cart with a cloth, dangling on the back of the steadily moving cart, they make the painting of the colorful nomadic caravan complete. A goat and a good-humored dog move calmly with the rest of the family. As they heads for their next camp, everything on the cart seems to be moving in a state of balance, constantly hitting against each other over a bump or a pit or along the uneven trail of the village road, as though in a conversation. Locally known as ‘Chettors’, in 1313 these blacksmiths migrated from Rajasthan to finally settle down at Muddarda village in Mehsana taluka. But, they continued their nomadic way of living, traveling constantly on predefined routes, making metal products and selling them in villages on the way and returning to their home village once in a year. 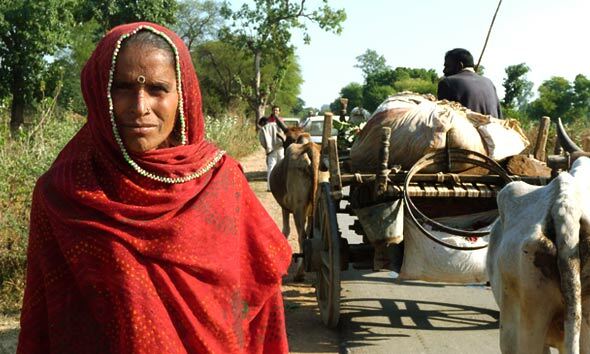 For Rajasthan’s Gadia Lohar Tribe home is where the cart is. Starting with limited applications, the task of ‘Gadia Lohars’ was to the repair and make metal tools and utensils for villagers. Working around ‘hot work’ (forging) and cold work (nailing), these ‘lohars’ brought various products of varied utility to life. Their basic tools included Eran (anvil), Ghen (heavy hammer), Hathoda (small hammer), Chhini (chisel), Behno (chanpan), Reti (file), Sandasi and Kaglisandasi (pincers), Kutta (holding lever), Loharia (stirrer), Aklai (divider) or Suba (double hole borer), Chakri (measuring disc). With these tools ‘Gadia Lohars’ took up most of the metal jobs in villages, from sharpening an axe to fixing the fortress gate, everything was tackled. With the arrival of polymer products and industrially produced metal products, people started giving away their old and weathered metal tools and utensils to these blacksmiths. 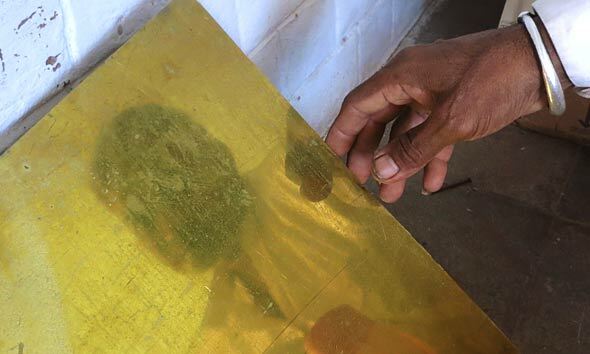 As told by Babubhai Hargovinddas Luharia, the Lohars became aware of the changing demands of people; they started melting all the discarded metal-ware and made products of special utility. 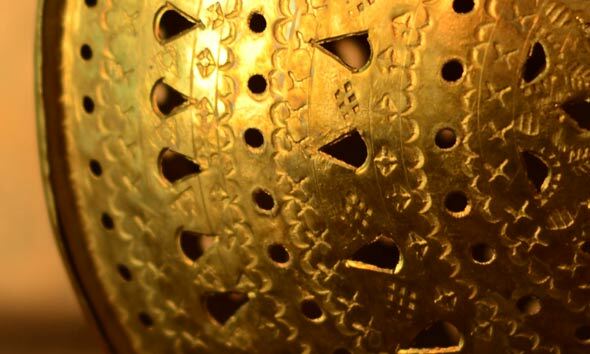 A number of new techniques were employed to ornament them, punch work, creating patterns with varied hammer marks, etching etc being a few of them. 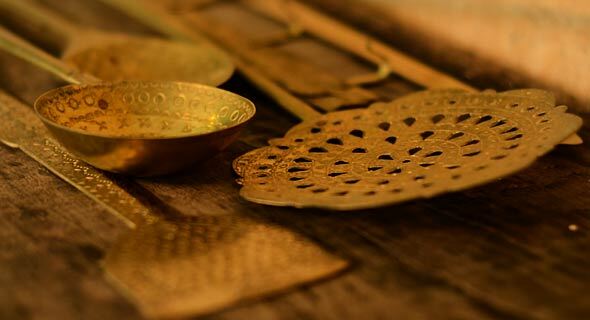 They made small tables, idols, jewelry boxes, lamps, treys and exquisite kitchen ware which were loved by villagers and in the royal kitchen alike. They majorly worked in Brass and Copper. With time the old reserves of utensils people were trading for new ones got exhausted and they could not source scrap metal anymore. 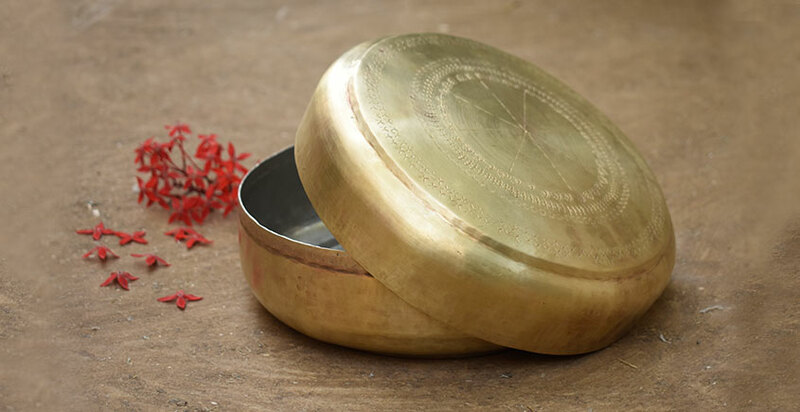 This made the Lohars purchase Brass sheets from Ahmedabad and made articles with their own designs. Majority of Gadia Lohars have moved on to obtain their livelihood from more lucrative fields and abandoned this gradually evolved craft. 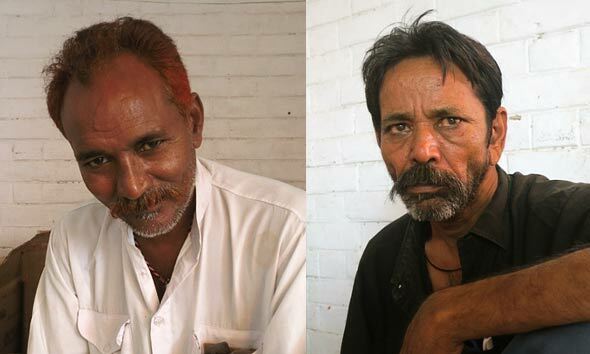 The remaining few now lead a life of settled blacksmiths. 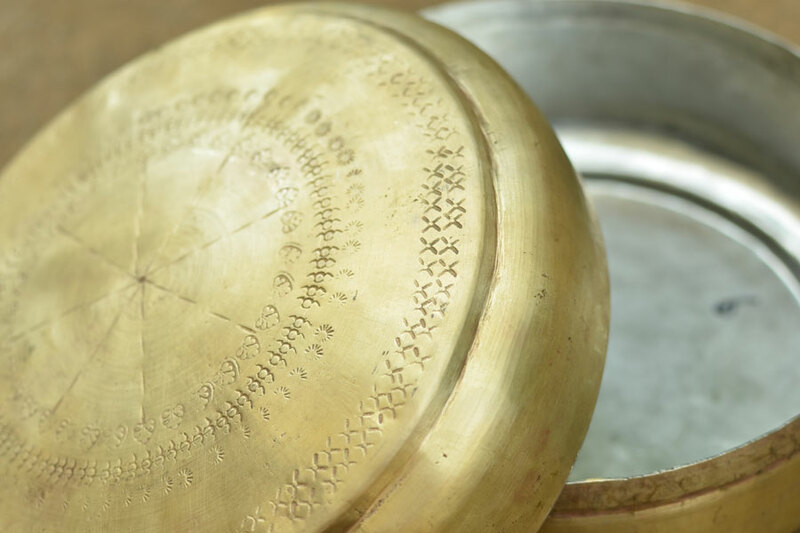 Their traditional style products, which once used to dazzle the royal kitchen and could only be found in museums as works of art in later years, have been revived. Their techniques still remain the same and their work still reflects the same labor, condor and reliability of the old blacksmith with his anvil, hammer and bellow, waiting to bedazzle new age kitchens and bring back the glory of the lost era.